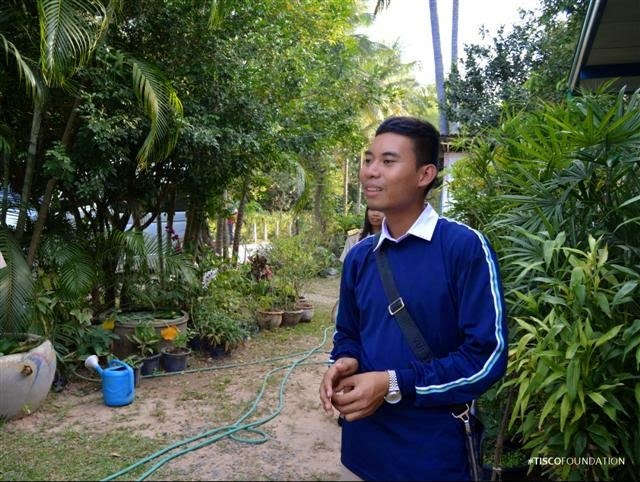 From the scholarship follow-up trip in Surin in December 2014, TISCO Foundation team visited 4 scholarship students' houses. 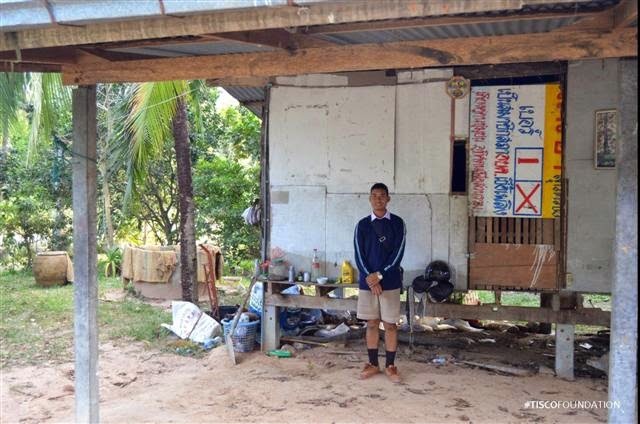 Let's start with Kongpob Chanadee, grade 12, Prasat Wittayakarn School. He lives with his aunt who works at the community child daycare and a village head. Both of his parents passed away a while ago. In this community, people speak Khmer as a main language. There's a community rice mill that community members can use at low cost from which Kongpob's family benefits. 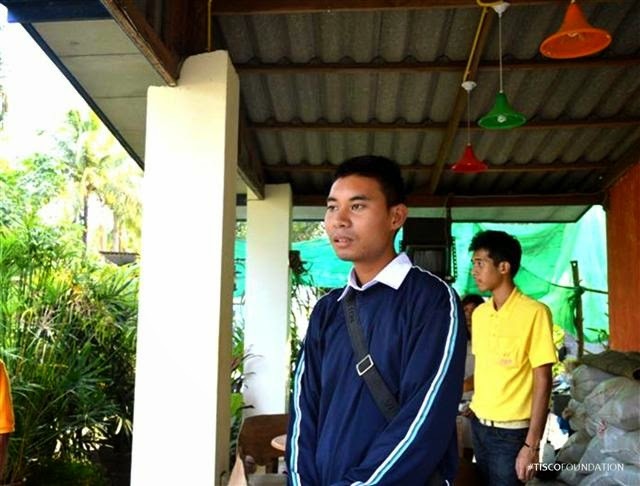 After highschool, Kongpob will continue to undergraduate education at Rajabhat Surin University. He dreams to become a journalist as he's passionate about following and reporting news to public.